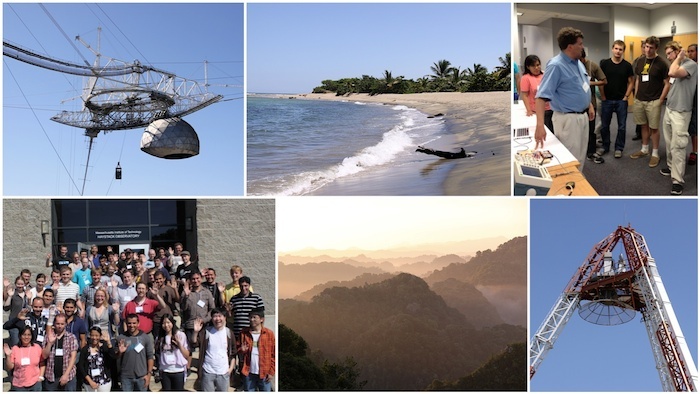 An international incoherent scatter radar school aimed at providing participants with hands-on experience in designing and running incoherent scatter radar (ISR) experiments will be held at the Arecibo Observatory in Puerto Rico, 21-26 July 2014. This workshop is a collaboration between the 2014 ISR Summer School of our US colleagues and the International EISCAT Radar School 2014. The school aims at teaching the participants how to request, design and analyze ISR experiments. All participants will have the opportunity to work one-on-one with experienced scientists. The workshop is structured to provide lectures in the morning and hands-on experience in experiment design and analysis in the afternoons. The morning presentations will include an introduction to the theory of incoherent scatter, radar operations, ISR analysis techniques, and the Madrigal database. The afternoon exercises will involve working closely with school staff in the topic areas of proposal design, experiment execution, and data analysis. Participants will have the opportunity to work with data from globally distributed ISRs. This school is suitable for graduate and advanced undergraduate students, as well as scientists new to the incoherent scatter radar technique. The school is jointly sponsored by the EISCAT Scientific Association and the US National Science Foundation through its Upper Atmospheric Facility Program within the Atmospheric and Geospace Sciences (AGS) division of the Geosciences Directorate. Future Radar Schools: The US ISR School takes place every year at least until 2017, typically in late July at varying locations. There will be an International EISCAT Radar School in 2015 (location and time TBD) and in 2016 we will have again a joint US-EISCAT Radar School, which will take place in Northern Finland or Scandinavia (location and time TBD).